curved framed model has the motor placed between the frames, leaving the boiler & water tank free for batteries & RC gear (designed for use with the Deltang receiver units). 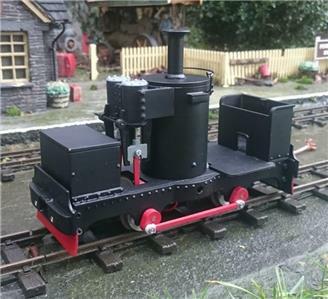 model also features working crossheads & connecting rods! All you need to complete the kit is glue (pdf recommend a Superglue), paint and a filler (body filling is not necessary, but does improve the finish of the model).